Nili Ariely – B.Ph and M.F.A, an active artist and writer. 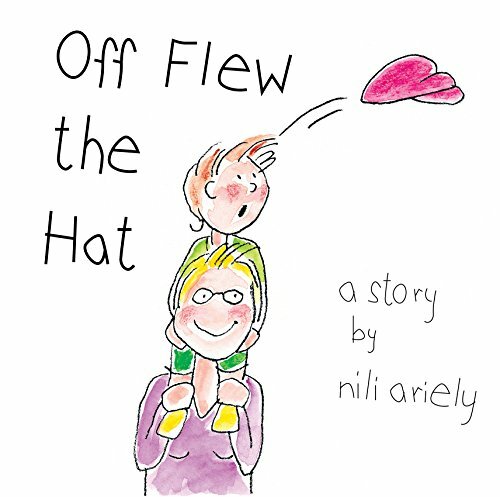 Nili has written and illustrated children’s comics in a youth magazine. Nili is a mother and a grandmother. Her strolls with her grandchildren enabled her to experience the world from a young child’s point of view. Over the last years I got deeply involved with young children’s point of view and that has incorporated into my books. I am usually inspired by everyday experiences and for me it’s all about how children perceive the world – it is as if they are guests on our planet and we are the hosts. I usually prefer to write in a place where I’m surrounded by people, such as a coffee shop, but basically I can really write anywhere on every piece of paper I have. Also, I have a lot of drafts and sometimes the finished product takes a total shift from the initial idea or story. My latest book, on which I am still working on, is called “Shoko and Luigi in the Playground”. The inspiration came from encountering with a very unusual dog while spending time with one of my grandchildren at a playground. It was a very big dog with long furry hair, with one blue eye and one brown eye. All kids were drawn to it. It had a majestic presence and I thought this calls for a story. I presume for each one there is a different way and approach to be inspired. I always found that looking at my own life as if I’m visiting them from an outside world helped me to find a story to tell. I was looking for a way to publish my book abroad and was offered marketing by Contento Publishing Company. While it was once impossible to get published, it is now too easy and there is a necessity to find a way to ensure the quality of books and the fine delivery to readers.